Safety, quality and reliability are essential in the aerospace sector. To ensure that all partners meet the quality requirements of the industry, the standards of the EN/AS 9100ff series take into account all branches of the aerospace industry: development and production, maintenance as well as trade and distribution. Certification according to EN/AS 9100, 9110 or 9120 means that you will be registered in the OASIS database (Online Aerospace Supplier Information System) of the International Aerospace Quality Group (IAQG). This registration is obligatory for suppliers and service providers. It provides a proper basis for supplying customers worldwide. At the same time, it helps you to establish a quality management system that will continually improve your process and product quality. Are you interested in certification and have further questions? Contact us! Revising the EN/AS 9100:2016 series is necessary in order to integrate the structure and the changed requirements of ISO 9001:2015 into the standard. The new version of the EN/AS 9100 series is intended to take into account the current needs of the interest groups from the aviation, aerospace and defense industries. It also incorporates clarifications into the standard that have been requested by the IAQG since the last revision. The publication of the revisions is expected in September 2016. This results in a shorter transition period, as the expiration date has been set to that of ISO 9001 on 09/14/2018. The International Aerospace Quality Group (IAQG) thus recommends that you start changing to ISO 9001:2015 today. The IAQG has also stipulated that, starting in 06/15/2017, all audits must be carried out based on the EN 9100:2016 series. This will be done for the first time as part of a so-called transition audit. The regulations for transition audits are set out for all stakeholders in the document Supplemental Rule (SR) 003 and published on the IAQG homepage. For more details, refer to our info sheet on the EN/AS 9100:2016 series . the function and the design status of products over their entire service life. the traceability of all raw materials, methods, and tools used, as well as the personnel deployed. the definition of safety and function in accordance with customers and authorities. the risk analysis and assessment when using new technologies. Our experts are happy to provide you with more information about getting certified according to the EN/AS 9100 series of standards. Contact us! Our experts analyze and evaluate your processes and systems using their experience and intuition. They use the following six steps in doing so. The audit team checks whether your management system documentation complies with the requirements of the EN/AS 9100 standards. The audit team examines the extent to which your quality management documentation already complies with the EN/AS 9100 standards. Clients demonstrate the practical application of their quality management system according to the EN/AS 9100 series. Our auditors assess the effectiveness of the system in two stages. The stage 1 audit checks the client’s quality management system to clarify the general conditions for certification and the readiness to perform the second stage. The stage 2 audit then follows so far the clients are ready with the improvements, outcome from stage 1 audit. This has to be performed within a maximum timeframe of 6 month. Once all the criteria are fulfilled, your company is awarded the EN 9100, EN 9110 or EN 9120 certificate showing that your quality management system is functional and conforms with the standards. 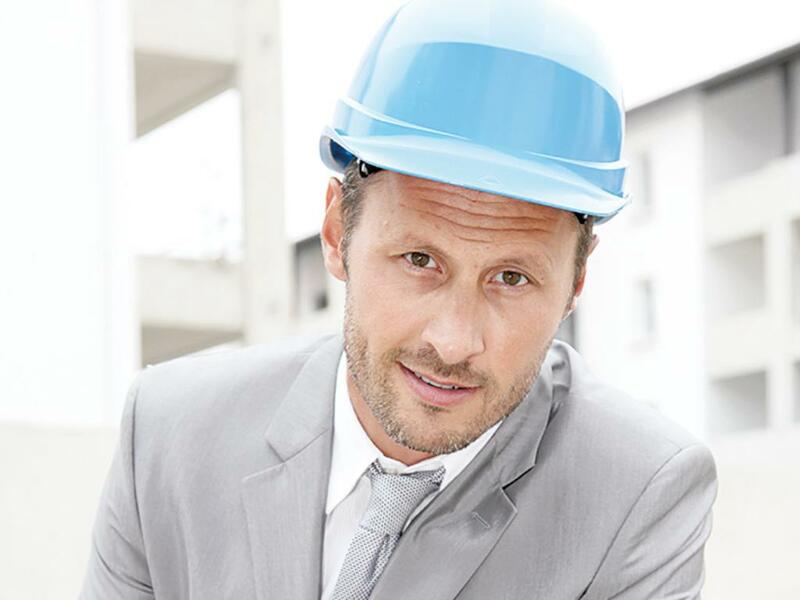 In addition, your company will be registered in our online certificate database Certipedia . Our annual surveillance audits help your company continuously optimize its processes. Recertification after three years allows you to continue with your ongoing improvement process and points out the quality of your services for your partners and customers. The International Aerospace Quality Group (IAQG) is currently revising the basic series of standards for the aerospace industry (EN/AS 9100, EN/AS 9110 and EN/AS 9120) for the certification of quality management systems. For suppliers and service providers of the aerospace industry, the revision of the EN/AS 9100:2016 series of standards results in several new requirements. 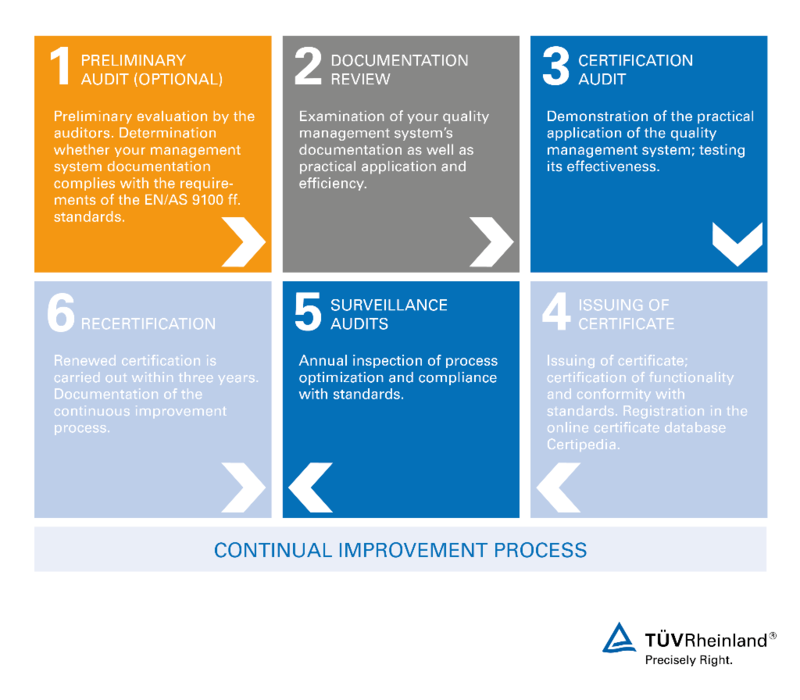 In principle, the revision is based on the changes in ISO 9001:2015, such as the adoption of “high-level structure”. The accompanying chart illustrates the new superordinate aspects. Our info sheet on the EN/AS 9100 series of standards provides you with more detailed information on the revision of EN/AS 9100 series. The EN/AS 9100 series is based on the ISO 9001 standard for quality management systems and has been specifically adapted to the requirements of the aerospace industry that go beyond it. The chart “What is 9100” illustrates the relationship between the ISO 9001 and EN 9100 series. In addition to IAQG, the European Aviation Safety Agency (EASA), the Federal Aviation Authority (FAA) and the European Space Agency ESA lay down requirements for the civil aerospace industry which are taken into account in the EN/AS 9100 series. The specific needs of the defense industry are also taken into account. The publication of EN/AS 9100:2016 is expected for October, EN/AS 9110:2016 for November and EN/AS 9120:2016 for December of this year. You have to have switched to the new standard by 09/15/2018. Due to the reduced transition period for changing to the latest revisions, we recommend that you start changing to ISO 9001:2015 now. We also recommend to change to the new standard as soon as the new EN 9100:2016 is published. Our customers. Their success stories. Certification according to the internationally recognized EN/AS 9100 standard opens the way for you to more quality and competitiveness in the aerospace industry. Our customers know that. Read their success stories.